Myanmar property prices are skyrocketing because of the big demand among foreign companies wanting a piece of the country’s growing economy. The limited availability of office spaces prompted some multinational firms to occupy four-room villas, driving prices upwards in the city of Yangon. The villas, which usually are not conducive as offices because of the lack of exits and are situated at odd neighbourhoods, have been used by companies like Unilever. Renting the villas now costs $6,500 a month and by year-end this could rise to $9,500 due to the rising demand, according to facilities management firm Scipio Services in an interview with Bloomberg. Reports from Bloomberg Businessweek and ibtimes.com have indicated that yearly rental prices for office spaces now is no less than $100 per square foot, surpassing downtown Manhattan’s average price at $70 per square foot. For Yangon alone, the burgeoning business centre, needs some 8.7 million square feet of office space while 0.6 million square feet is available, Yoma Strategic Holdings had estimated in a report. 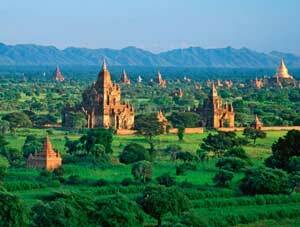 Yoma Strategic Holdings is a Singaporean company now developing properties in Myanmar. Yoma executive director Cyrus Pun tells Bloomberg that though there is an estimated 1.9 million square feet of office space available by the end of 2015, this would not suffice to the immediate demand. Although Yangon seems to be an attractive market for foreign developers, most are not rushing to the country because of the uncertain laws on property ownership. Singapore’s Far East Orchard CEO, Mr. Lucas Chow says the uncertainty over property rights and mortgage had discouraged foreign developers to pursue projects in Myanmar, reports Bloomberg. To stabilise the country's rental and house prices, the Myanmar government is considering new property taxes to deter land speculation and even increase the government coffers, the Ibtimes.com says.